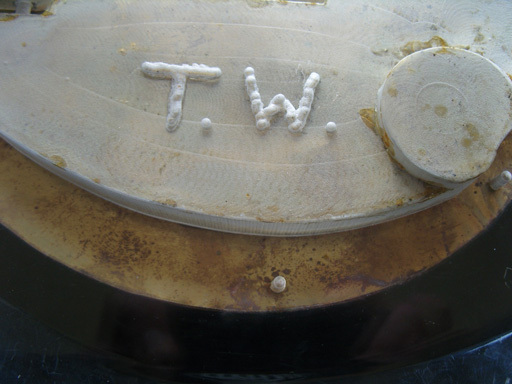 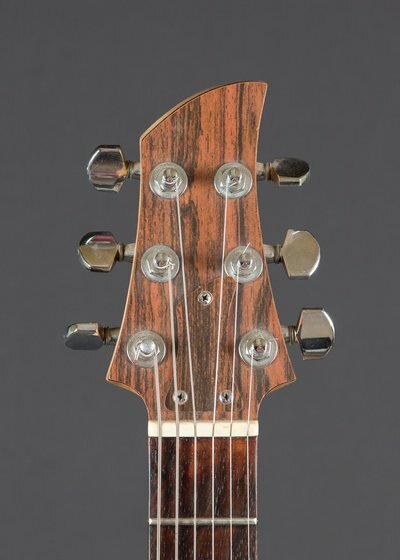 As suggested above, this guitar was owned for many years by the musician Teye (or Teije Wijnterp, hence the initials 'TW' etched into the control cavity), who used it extensively during the late '70's and 1980's in a number of bands. 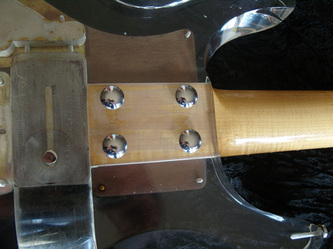 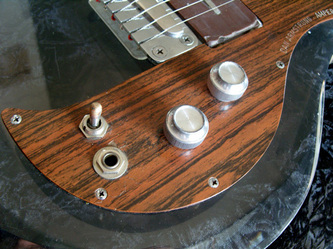 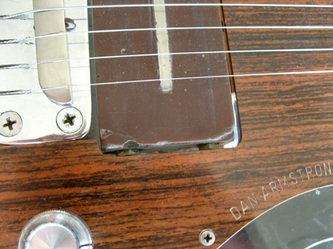 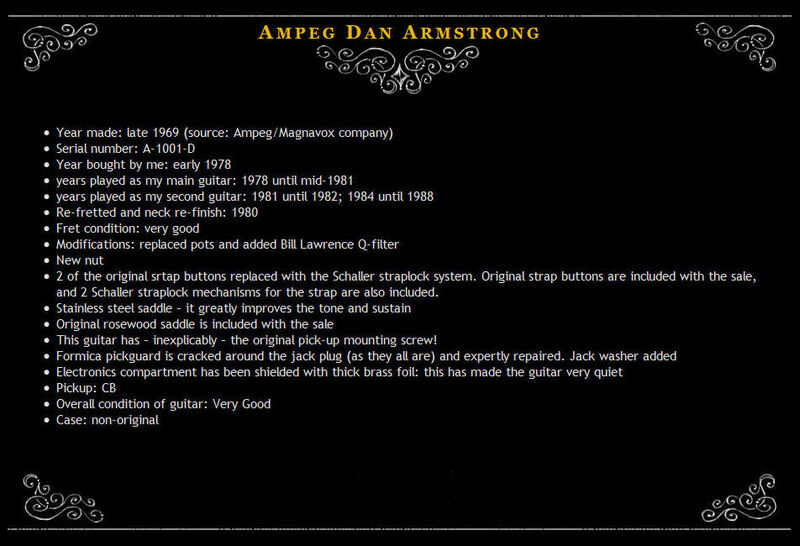 He later went on to construct a second Dan Armstrong using an OEM surplus neck and various Dan Armstrong parts. 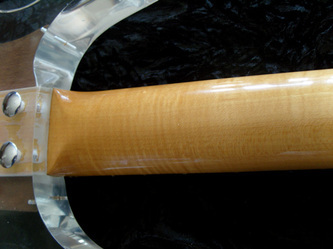 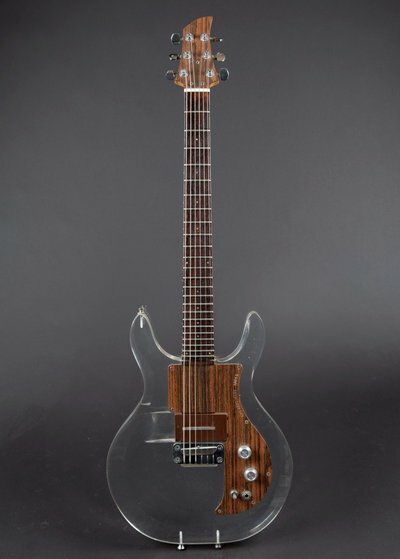 Later in his career, he began to construct custom-designed guitars under the Teye brand, which have to be some of the most innovative and beautiful guitars on the market today. 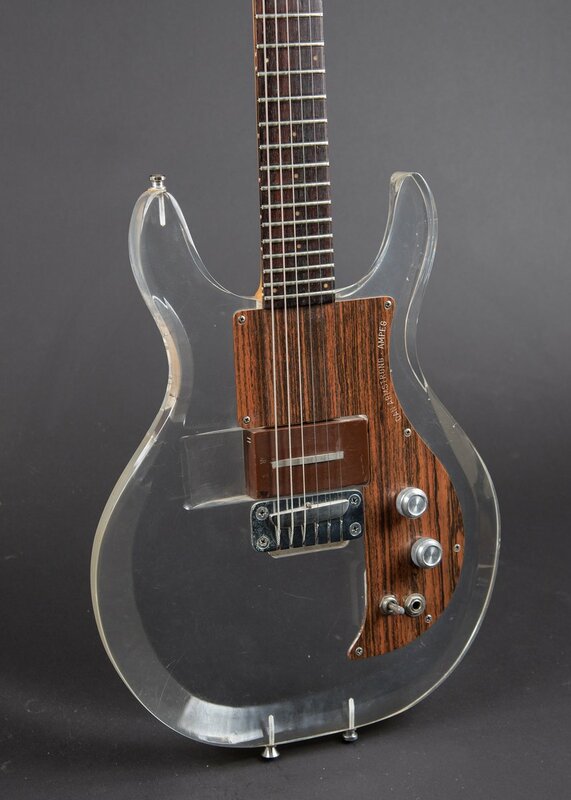 One thing to note - based on our research, this would be a mid-1970 guitar, not a 1969. July 2017 - found this one again for sale at Carter Vintage Guitars with an asking price of $3,000. 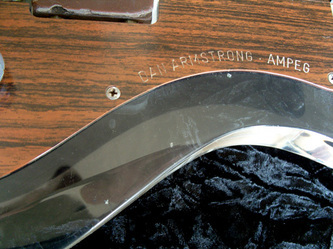 Seems to be unchanged from the previous sale. 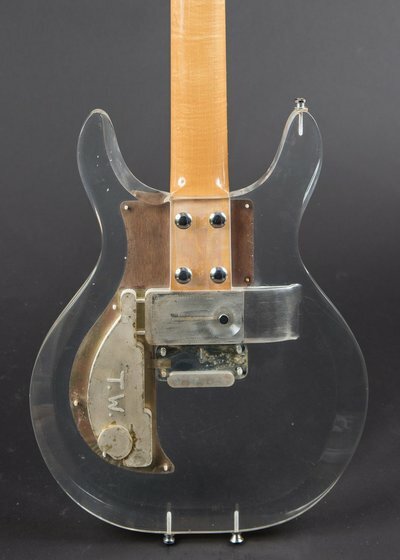 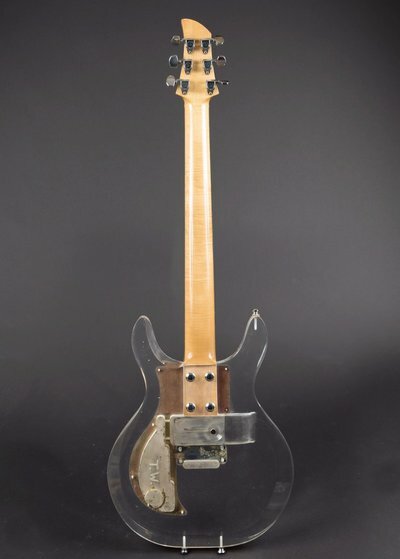 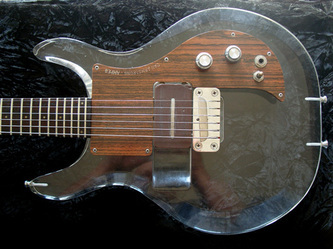 "The Ampeg Dan Armstrong guitar was introduced in '69 and was made famous by Keith Richards. 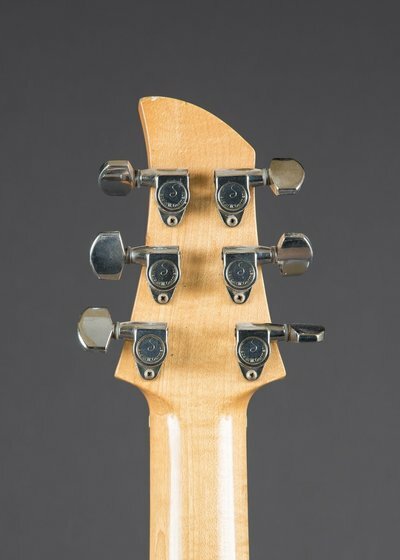 This is a fantastic playing and sounding instrument. The plexiglass body is lively and the pickup sounds phenomenal. 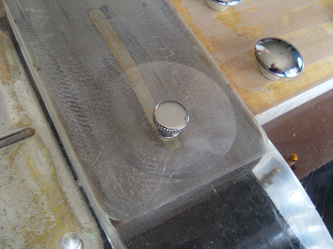 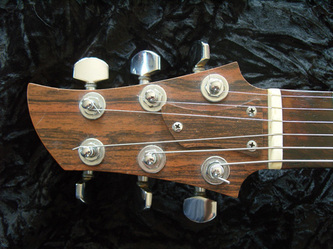 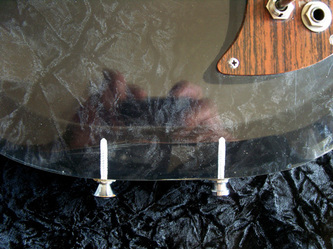 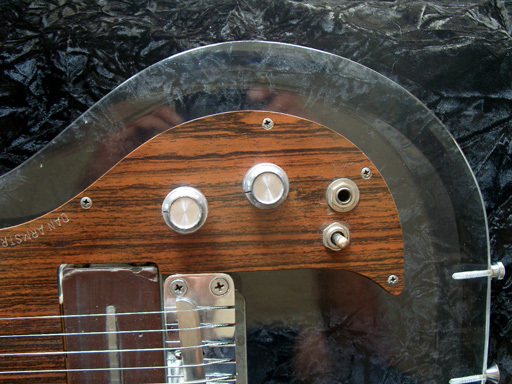 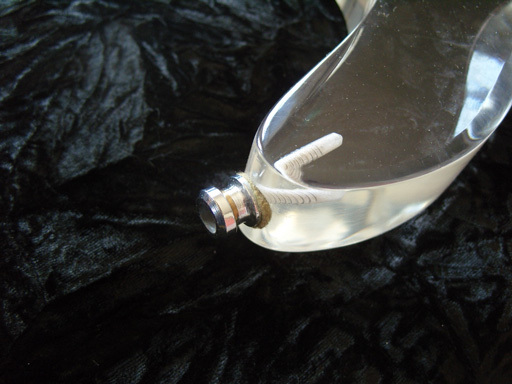 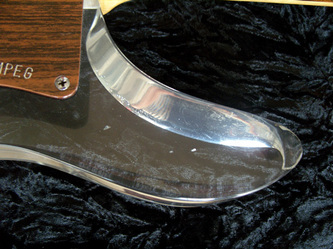 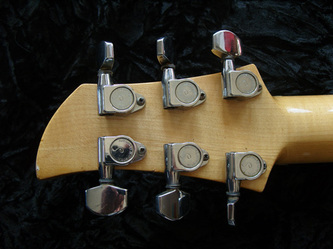 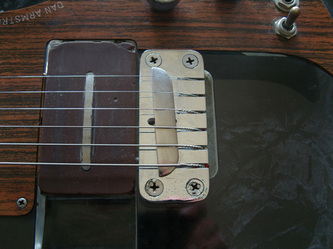 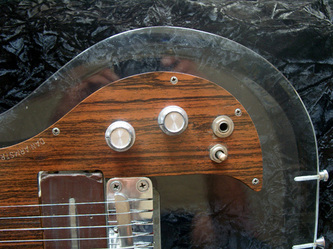 The guitar features a removeable pickup, and has had a Bill Lawrence Q filter installed in 1979. 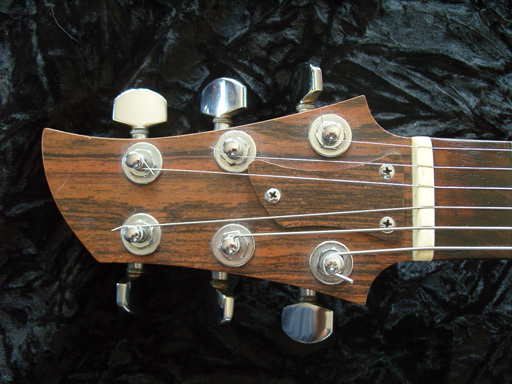 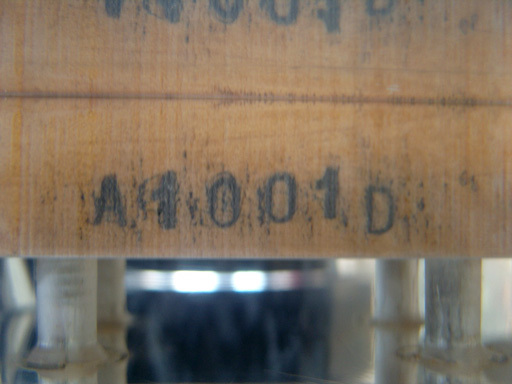 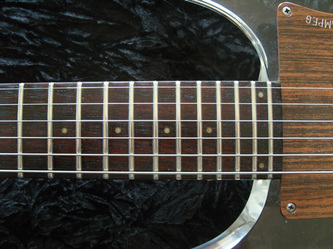 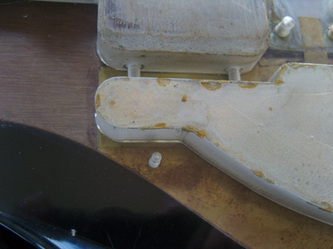 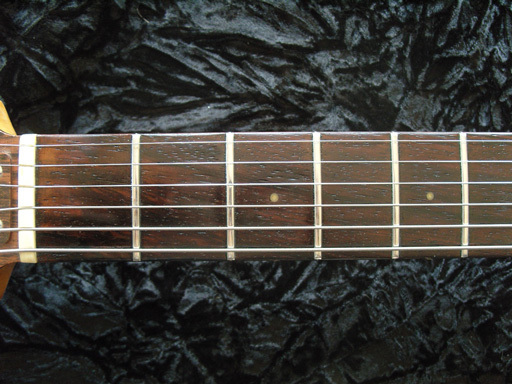 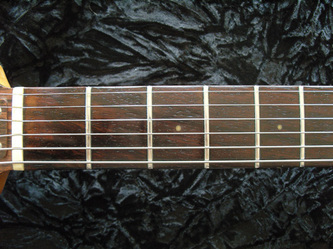 The guitar has had the original rosewood saddle replaced with a metal unit. 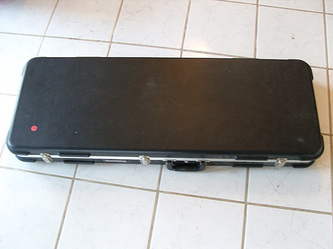 Comes with a hard case."